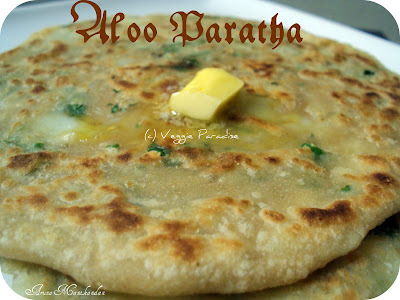 Aloo paratha in riyadh style, what is so special about these paratha's????? . These paratha's are made only during the ramzan period. Duirng ramzan they put a stall outside a restaurant and they prepare this. You should see the large queue waiting for these paratha's and you also have tokens issued ahead. Only two people will be standing in the stall,one preparing the paratha's and the other person puts in the tawa.Everything happens very fast. The stuffing is very simple no powders required, so let me go straight to the recipe. Finally add the ghee and knead it well , until it forms a soft dough. Cover and keep it aside for 30 mins. Now the filling is ready , Take a lemon sized ball form the dough , dust it in flour and roll them into a flat and round shaped one.Place the filling inside and close it well..
Now press lightly with your palm and dust it in the flour.With the rolling pin , roll them well or if you are scared that your filling might come out, then gently press then with your palm. (Quite somedays I used my palm ). Heat the tawa, place the Stuffed chapathi and apply oil/ ghee on its sides as well as on its top. When both sides are cooked well, remove from the tawa. You will definitely enjoy the taste of this paratha in every bite . 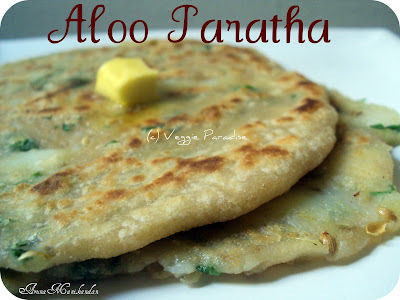 Lovely Aloo Paratha's.Looks perfect.Great pics. U r making me hungry..irresistible parathas..
aloo parathas r my all time fav...addition of corriander seeds is surely unique and wud b quite flavourful..interesting !the clicks r very inviting ! Tempting Parathas. Makes me hungry..
Ramzan brings so many delcacies; Aloo paratha is a favourite andI haven't used this combination. Looks delicious! yummy and delicious parathas and love the addition of coriander seeds. wow lovely paratha's very perfectly made and looks so yummy !! Lovely Recipe, Looks delicious, coriander seeds gives such lovely flavour ..YUM! Excellent looking parathas dear. Loved the pics of them. Very inviting and delicious paratha !!! 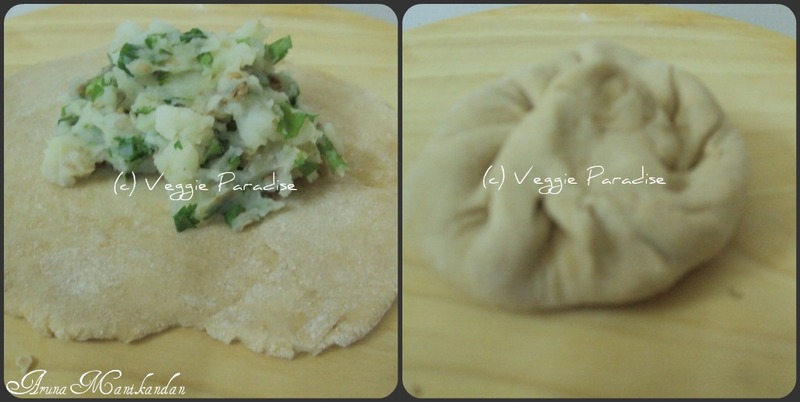 Perfect looking parathas dear..love these anytime! yummy yummy. Very soft parathas. 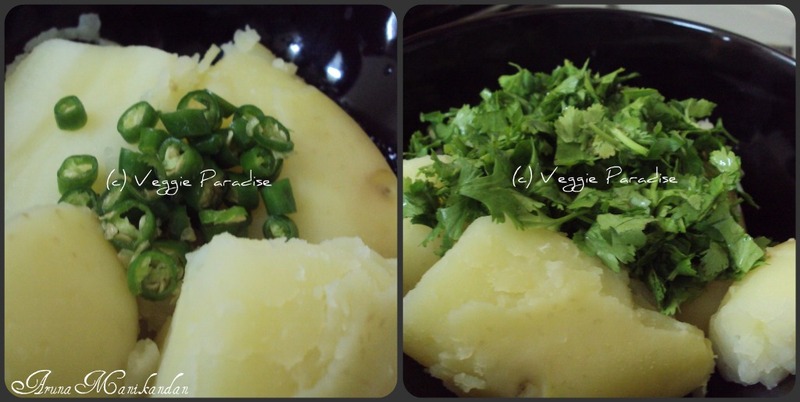 Wow beautiful post .And step by step pictures adds the flavours. yummy parathas...cant resist myself from tasting one..
Aruna Aloo paratha is all time favourite and tasty.Looks very nice. 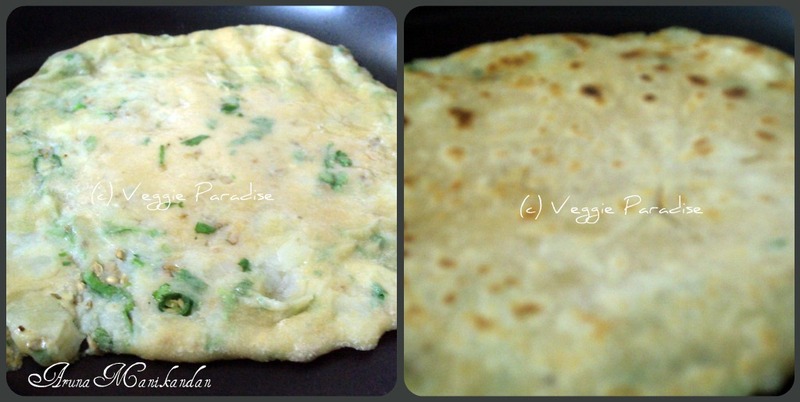 Aloo paratha looks wonderful and nice step by step pictorial. Those corriander seeds do add a nice twist... I will try this way next time.. Always love it this way,simple yet yummy! Lovely clicks! Looks Pramadham, first class yummy! 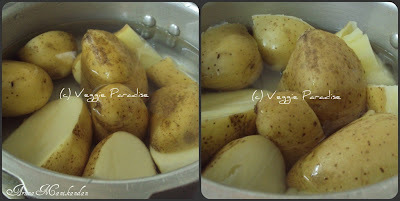 Thanks for visiting my blog and following me.I love aloo paratas.Wounderful pics. 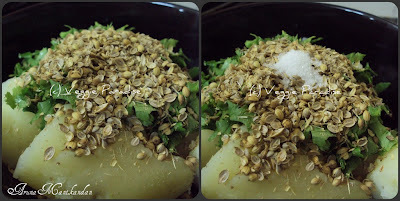 coriander seeds are new addition to parathas! looks nice! Nice parathas! I add coriander seeds in my aloo parathas.it gives a nice flavour! This sounds simple.shall try soon! Very flavorful paratha...look soo good!! Gosh...I am drooling over these pictures*wipes the key borad*These look like the paranthas we had @,Buninda Dhaba,Pune) those were the best and now these match up to those:)!!! 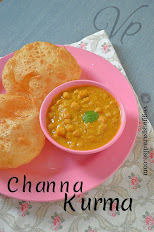 wow..my fvrt dish..very yummy..nice pics. Yummy parathas..Love the Butter melting on top of parathas. I just love Aloo Paratha anytime. So filling. Looks delicious. I guess I am a huge fan of aloo paratha and I just cannot wait for any special reason or occasion. I shud try it with ur filling mix,i love the use of minimal, but potent spices to bring out true flavor. Our fave kind of paratha! ah with that dollop of butter, it looks delicious! this aloo paratha is really new to me. like the idea of adding crushed coriander seeds to it. would boost the flavor also..
Parathas came out so.... well! The coriander seeds added a special flavour to it. Iam enjoying this site and great recipes for me to try every day. 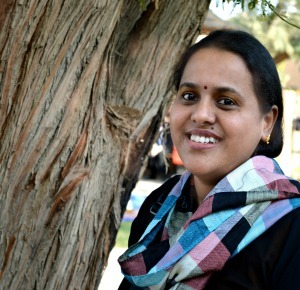 Thank you for explaining each wonderfully specially to a newcomer -to-cooking like me.